Newly appointed Chungmu Arts Center CEO Kim Seung-up has unveiled his vision for the arts center, which includes a heavy emphasis on creating and exporting more original Korean productions. 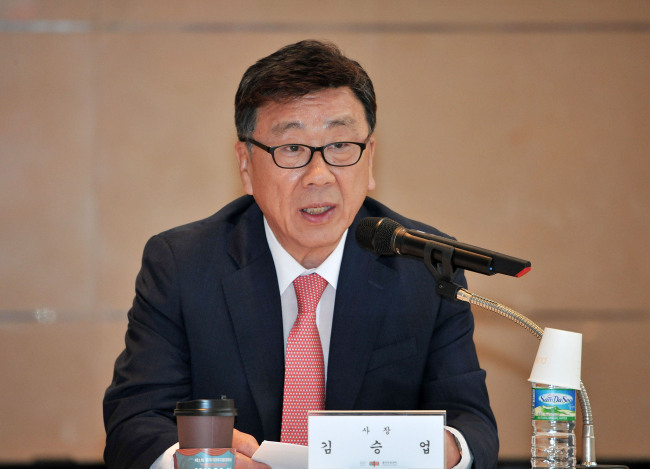 Kim officially became head of the Chungmu Arts Center, formerly the Chungmu Art Hall, on Jan. 18, following the retirement of the center’s former leader Lee Jong-deok. On Wednesday, Kim met with press to announce his plans to make the Chungmu Arts Center the new “mecca of original Korean productions” and to talk about his “CAC” initiatives: creation, action and communication. “One of my biggest visions for the future of the center is not only to create a comfortable and creative environment for our citizens to enjoy the theatre, but it is also my intention to add more focus to original productions,” said Kim, 63, during the press conference at Chungmu Arts Center in Seoul. “Our ‘Frankenstein’ original musical production saw great success with the local audience. ... This is a success I hope to continue to elaborate on in the future,” he added, elaborating on the “creation” portion of his three-point plan. The center’s “Frankenstein” musical first debuted in 2014 and became one of the country’s few homegrown musical productions. Although based on Mary Shelley’s 19th-century novel, the center’s musical added new characters and a number of plot twists to the classic horror tale. The musical, which returned to the stage last year to repeated success, was said to have cost upwards of 4.5 billion won ($3.8 million) to produce. Nearly 118 million won was allocated for stage props alone, lending to the Korean musical rendition having the feel of a large-scale Broadway production. It was one of the biggest factors behind its tremendous local success. “As part of our ‘communication’ initiatives we also look forward to exporting our original productions like ‘Frankenstein’ overseas, further contributing to hallyu,” added the center’s executive director Kim Hee-chul. Kim also added his goals include developing more programs and arts academies that will allow citizens more hands-on experience. He also said the center would take measures in approving and developing better facilities as part of his “action” initiatives, such as easier access to the center’s parking areas and more women’s bathrooms to minimize long lines during intermission. “More women’s bathrooms and more convenient parking are (in response to) complaints that have been voiced repeatedly by theatergoers, and these are concerns we intend to address,” Kim says. 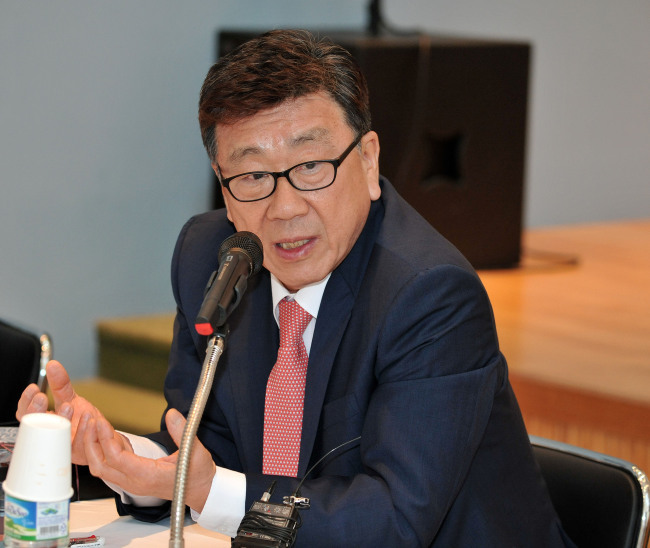 Kim, 63, was formerly a cultural arts management professor at Dong-A University and head of the Gimhae Arts and Sports Center and Busan Cinema Center.